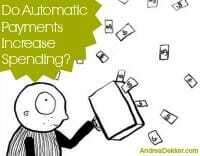 Do Automatic Payments Increase Spending? As I’ve shared our paperless and automatic way of running our finances over the years, I’m often asked if I think automating things makes it easier to inadvertently increase our spending (even if it’s just a little bit). My “short answer” is YES — and today, I’m sharing more about why we’re still automating our finances. 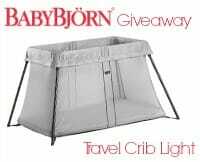 BABYBJÖRN’s newest product — their Travel Crib Light — is the perfect choice for families who enjoy traveling, families who are always on-the-go, or even those of us who just need an extra kid’s bed for Grandma’s house. I would highly recommend this product and am super excited to be offering it as a giveaway today! 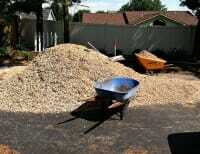 If you’re planning to do any type of yard work this spring and summer, you’ll definitely want to read this super simple tip that has saved Dave and I hundreds of dollars over the past several years. 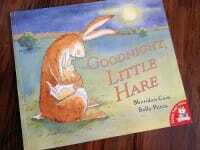 A couple months ago, my mom gave Nora a new book, Goodnight Little Hare — it’s now one of Nora’s FAVORITE books. 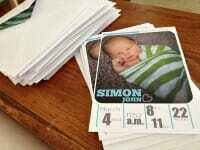 One of my “to-do’s” before Simon was born was to finalize all the information for our Living Trust. I breathed a sigh of relief when we signed the final papers knowing that all our “ducks” were in a row just in case anything happened to Dave and I. 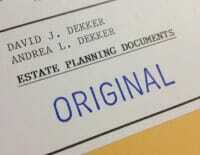 Today, I’m sharing a bit more about our Life Insurance and our Living Trust — and why we made the decisions we did. When it comes to cookies, brownies, or any other dessert, I usually don’t “waste” my time unless there’s a decent amount of chocolate in the recipe. 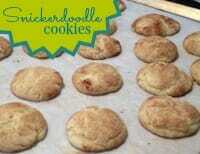 However, these Snickerdoodle cookies are quickly becoming one of my favorite sweet treats. 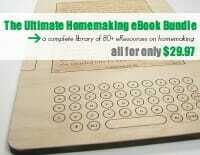 By popular demand, 100+ homemaking bloggers are bringing back The Ultimate Homemaking Bundle! Bought separately, these resources would cost $698 (not including $200+ in bonuses). However, from now through April 28, they are available for just $29.97! Since I took about 5 weeks off from blogging (and life) to take it easy after Simon’s birth, I knew that I’d need to use Dave’s Spring Break week to catch up and plan ahead. I was really looking forward to feeling like my normal productive self again… however, I didn’t expect it would be so difficult to find my productivity groove again! As some of you might remember, Dave and I spent a lot of time outside last summer — and not for relaxation purposes. On and off from May through August, we had various yard projects going on around our house. We have a BUNCH more landscaping projects to tackle this summer — and I’m sharing them all in today’s post! I’ve mentioned before that I enjoy sending out Christmas cards each year — well, I also get way too excited about sending thank-you cards and birth announcements. The only thing I don’t love about them is the price. 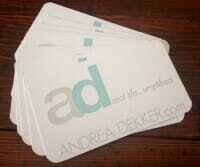 However, I have a really simple way to print totally customized stationery for ridiculous low prices! 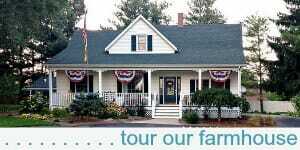 Will you be hosting out-of-town guests any time soon? 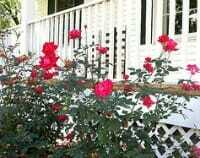 if so, this post offers 10 helpful suggestions to get you and your home ready. All the tips are super simple, and most of them won’t cost you a penny! 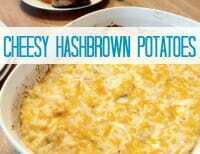 These cheesy hashbrown potatoes are one of our favorite side dishes as they taste amazing with almost any type of meat and vegetable. This recipe is super simple, super quick to make, and can very easily be assembled a day in advance — definitely a winner in my book! 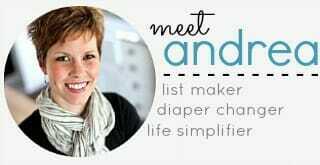 One year ago today, I made the humongously scary decision to totally change my blog and business name from Simple Organized Living to AndreaDekker.com. Today, I’m sharing a few of my thoughts looking back. When I announced I was pregnant with baby #2, everyone told me the transition from 1-2 was WAY more challenging than the transition from 0-1. This naturally freaked me out since my transition from 0-1 was pretty traumatizing for me! However, after 6 weeks, I can say that so far, the transition from 1-2 has been easier than 0-1. Thank goodness! 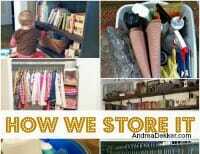 I’ve gotten so many random questions about how we store various items in and around our house… so today, I’m sharing a post about how we store “IT”. 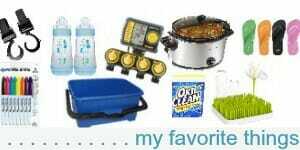 Obviously, what works for me, for my family, and for our home won’t necessarily work perfectly for you — but maybe it will spark a few ideas for how you might be able to better store and organize your stuff. As I planned ahead for the arrival of baby Simon, I thought it might be fun to resurrect some of MY favorite posts from the past 3.5 years of blogging. 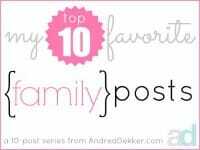 Today, I’m sharing some of MY favorite family, marriage, parenting, and motherhood posts — with a few extras thrown in because I just couldn’t decide! Over the past 5 weeks since Simon’s birth, Dave and I have been blessed with numerous meals and other food gifts. And since I’ve shared my love of giving and receiving food gifts before, I thought I’d do another post about little tips and tricks you might consider the next time you’re giving the gift of food — because I just don’t know anyone who wouldn’t appreciate the gift of food. Here are a few of my favorite things for the Month of April — it’s a REALLY random list, but all things I’m totally loving right now! As always, be sure to check out some of my favorite things from past months.